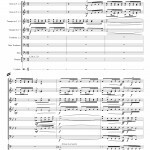 Commissioned and premiered by the Jackson Symphony Orchestra on September 6, 2014. 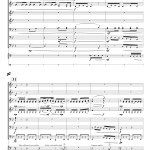 This work was composed on a commission from the Jackson Symphony Orchestra to commemorate both the opening of the 54th concert season and the arrival of their new Music Director and Conductor, Peter Shannon. The title draws a connection between the regal nature of this fanfare and the history of West Tennessee, specifically in the person of Andrew Jackson, seventh president of the United States. As president of our young nation, Andrew Jackson was unique in that he did not come from the “Virginia Aristocracy” and grew up in very poor surroundings. He gained the nickname “Old Hickory” during his military service as a term of endearment from his troops. He was hailed as the first “common man” to gain the presidency and more than 10,000 spectators came to the U.S. Capitol to witness his inauguration. More specifically, they gathered in front of the East Portico of the Capitol and saw Jackson stand as the first president to be sworn in there. Since then, the East Portico is the standard location for presidential inaugurations. 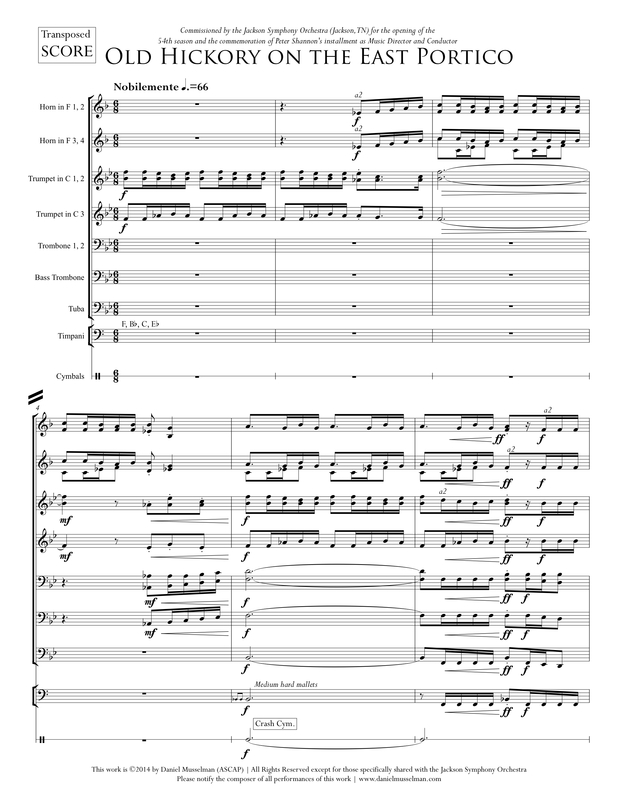 The fanfare is loosely structured as a rondo and the opening fanfare material also buffers the middle of the work as well as provides the exciting coda. The full brass choir plays these gestures. Between these statements lies a calmer nobler theme first heard in the Trombone section. 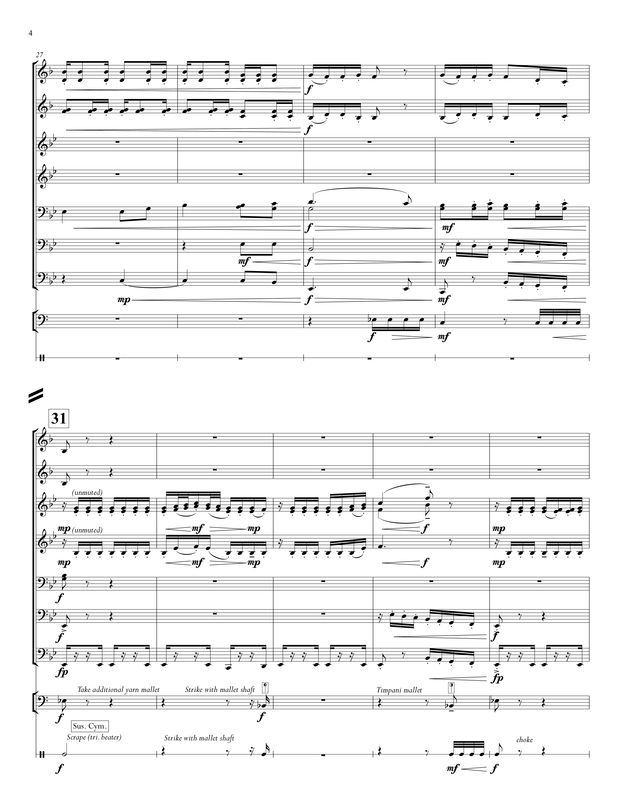 After one of the fanfare calls the theme is given to the French Horns and it soars through their section before the coda arrives and the pieces roars to a climactic finish, perhaps like the crowd did that day on March 4, 1829. Unfortunately, no recording is currently available.